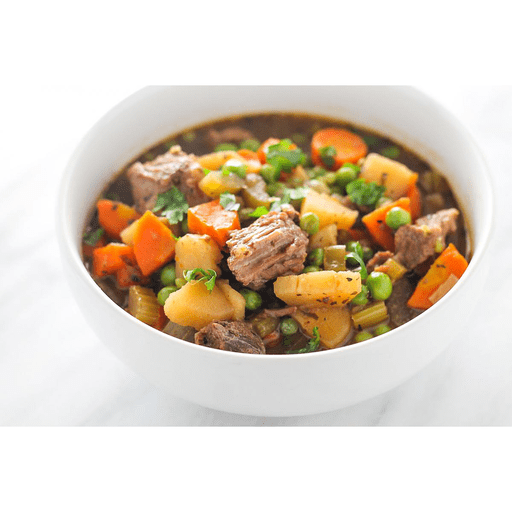 Warm up with a bowl of Slow Cooker Beef Stew. Thanks to McCormick Stew Sauce and lots of fall veggies, this flavorful recipe will quickly become a family favorite! 1. Mix vegetables, water and sauce in slow cooker. 1. Coat beef with flour. Brown beef in a pan with 1 Tbsp. canola oil heated over medium-high heat. Stir into ingredients in slow cooker. Cover. 1. Cook 8-10 hours on low or 4-5 hours on high until beef is tender. Stir in peas and continue to cook until everything is hot. Serve warm. For gluten free: Use gluten free all purpose flour in place of all purpose flour. Calories 310, Total Fat 13g (Saturated 4g, Trans Fat 0g), Cholesterol 75mg, Sodium 550mg, Total Carbohydrate 22g (Dietary Fiber 4g, Sugars 5g), Protein 26g, Vitamin A 50%, Vitamin C 25%, Calcium 8%, Iron 15% *Nutritional values are an approximation. Actual nutritional values may vary due to preparation techniques, variations related to suppliers, regional and seasonal differences, or rounding.